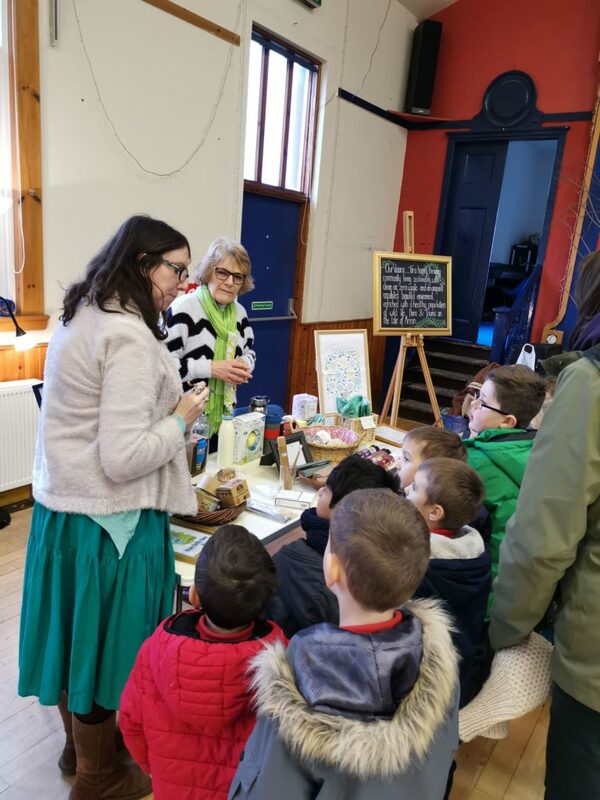 Children from across Arran made a green pilgrimage to Eco Savvy’s annual environmental event called Be Green which saw a number of Arran organisations hosting activities for children that were both fun and educational. 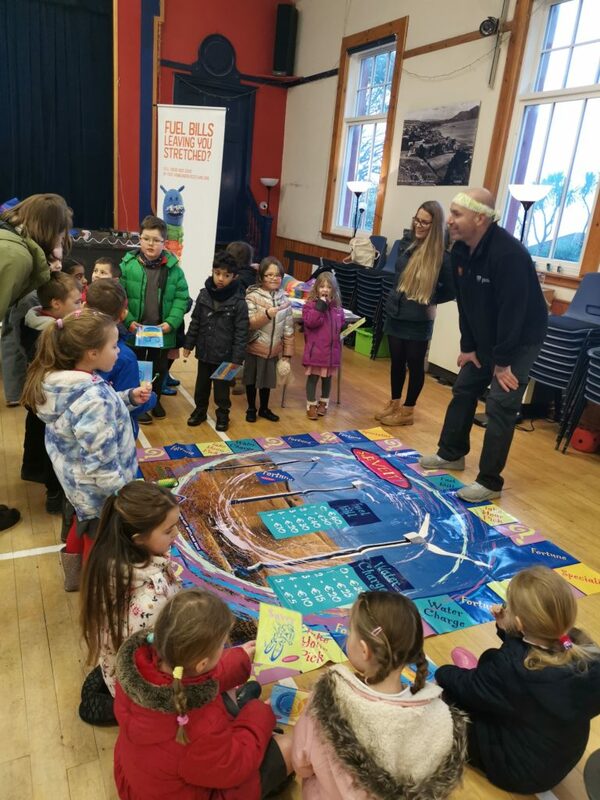 With snow making travel to Whiting Bay village hall difficult, more than 210 children still attended the fun day which included activities from partners, Brodick Co-op, Arran Community Land Initiative, Community of Arran Seabed Trust (COAST) and North Ayrshire Council (NAC). 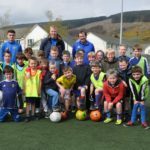 The event aimed to celebrate green initiatives and environmental action on Arran through a range of activities with educational themes in order to raise environmental conscientiousness among Arran’s youth. 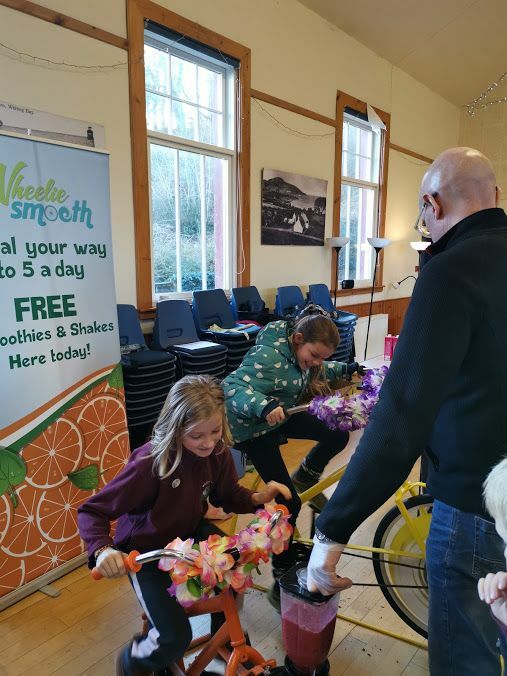 The Co-op played their part by donating fresh fruit which was enjoyed by the children who pedalled on an Eco Savvy smoothie bike which blended the fruit into smoothies and which carried a message of food waste and environmental travel and physical activity. 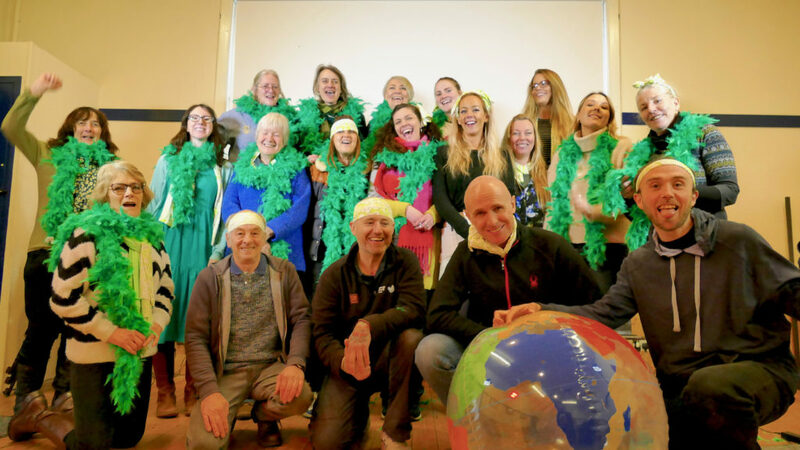 The fun activity tied in perfectly with the Eco Savvy and Co-op partnership where food is being distributed and used rather than being sent to a landfill. 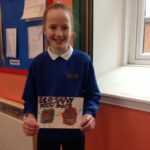 Children learned of this initiative and were given the opportunity to take part in a competition to design a logo for the food share project. 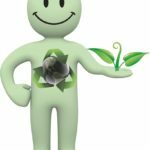 The winning design, which is yet to be announced, will see the winning entry being used as the official logo for the initiative and a cash prize of £150 for their school to put towards an environmental project or towards becoming and eco school. 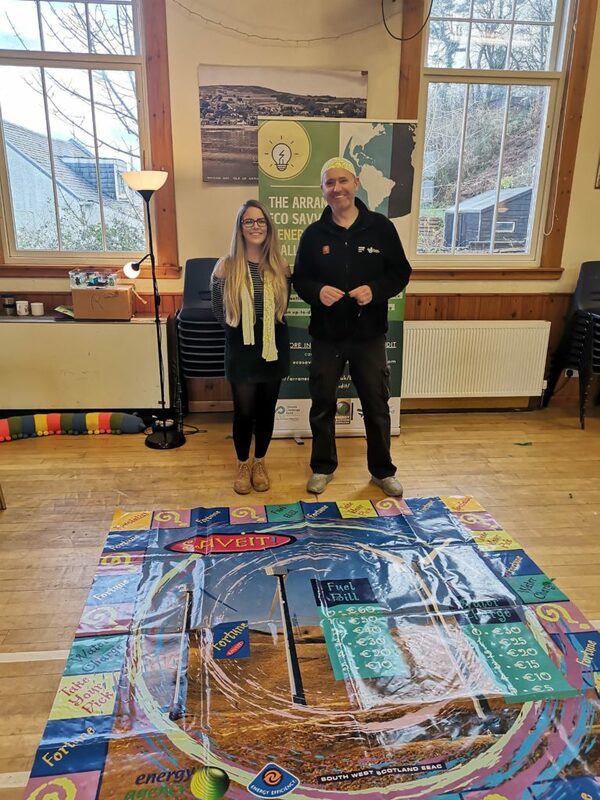 Home Energy Scotland and the Eco Savvy energy team delivered an energy monopoly activity. This saw the children split into teams where they were quizzed on energy efficiency questions. They were rewarded with fuel bill savings for questions answered correctly and charged with higher fuel bills and water charges for getting energy efficiency questions incorrect. 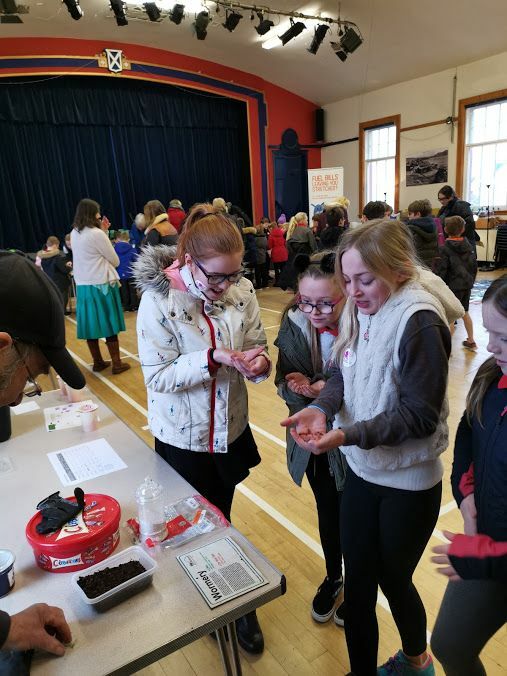 Jim Park from the Arran Community Land Initiative showcased a worm farm which appeared to intrigue some of the children and make other squirm with equal measure. 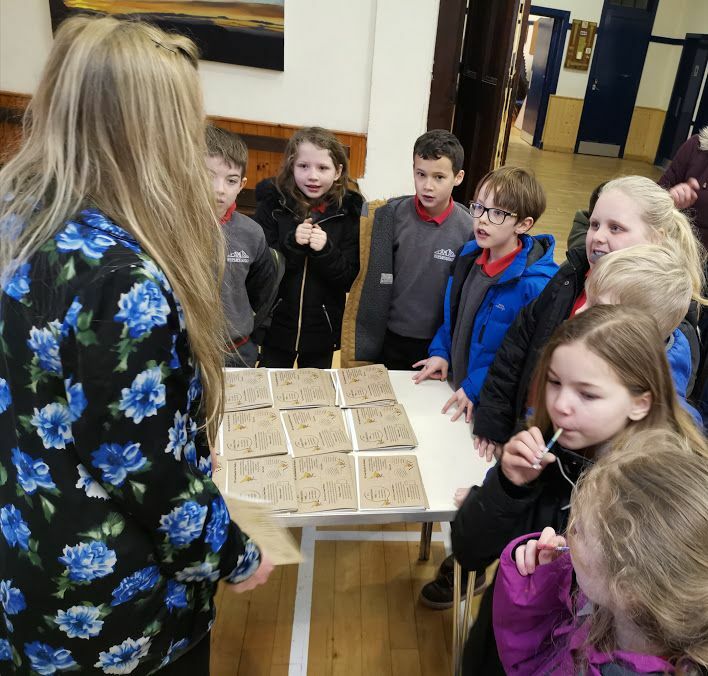 As well as being entertaining the fun activity of being able to handle the worms raised an appreciation for nature and helped to instil the will to protect it. The pupils were also able to feed the worms cabbage and vegetable leaves that coincidentally came from the food share initiative. COAST hosted an informative and impactful display with their sea scene created from plastic waste and with a striking artistic message. This activity combined appreciation and education around the marine environment to encourage environmental improvement and protection. 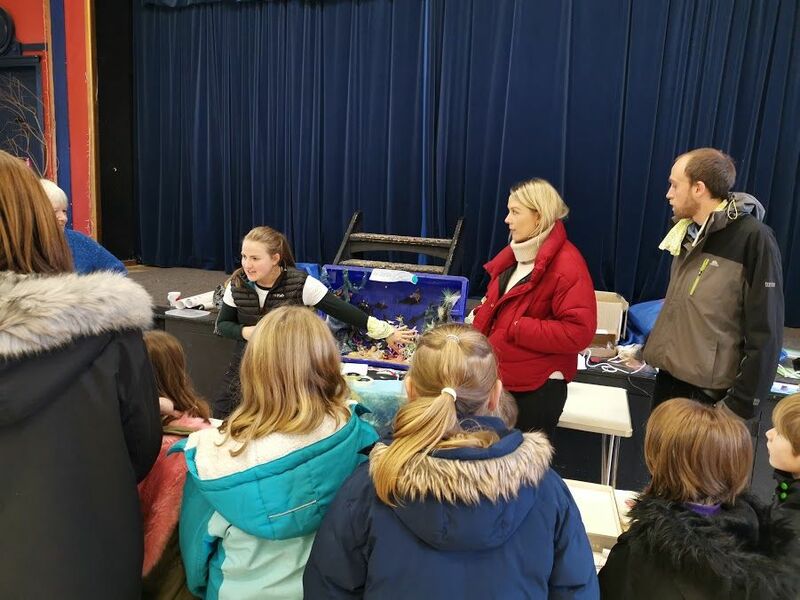 NAC hosted an activity around recycling and putting plastic in the correct bin and representatives also shared an updated plastics recycling guide which is available in the Eco Savvy shop in Whiting Bay. Providing the children with examples of recycling, Eco Savvy had a stand showcasing their eco products and ethos. These included bamboo toothbrushes, refillable coffee cups and water bottles. 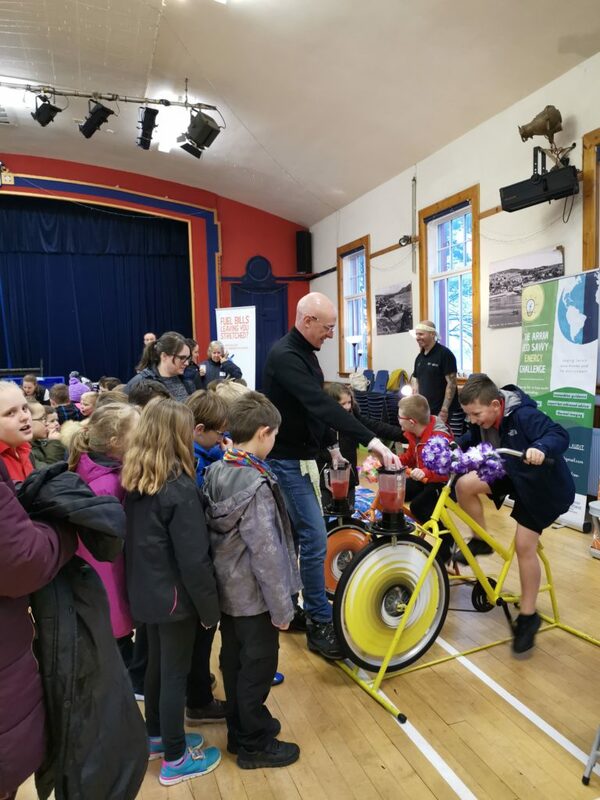 Jude King, Eco Savvy project manager, said: ‘Whilst it’s vital that this is a fun filled day for the Arran pupils, it is even more important for us to make all activities environmentally educational and for awareness around climate change issues to be brought home. I think this was certainly achieved throughout the day. 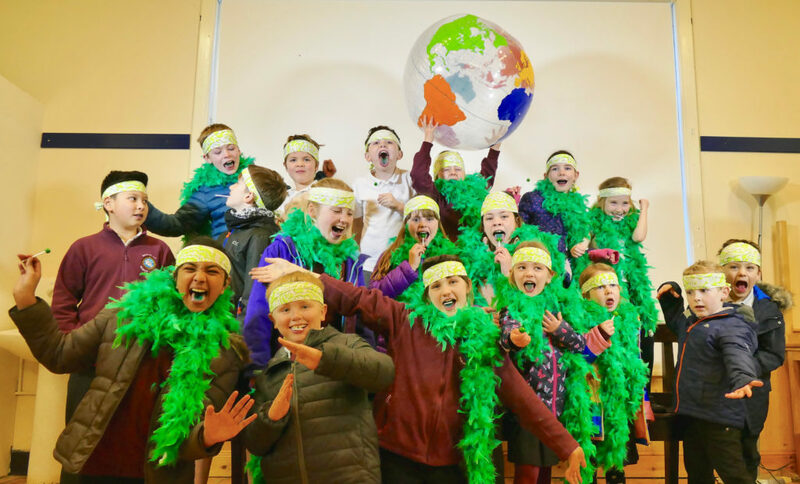 ‘We hope the children left with motivation to increase environmental conscientiousness for the benefit of their futures, and challenge those around them to do so to too.